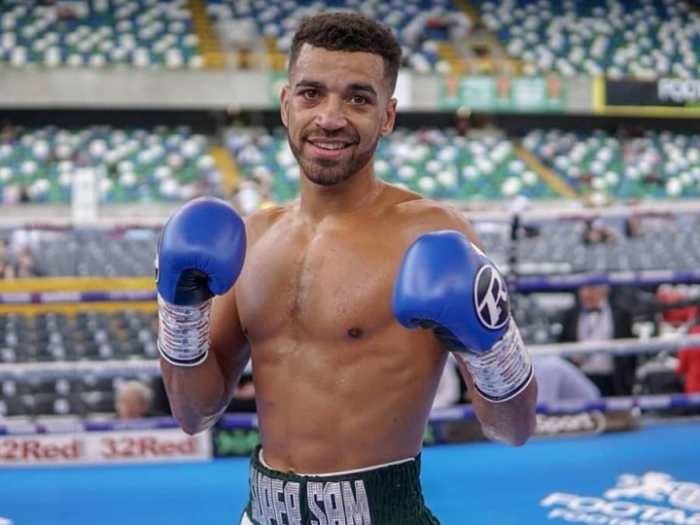 Sam Maxwell will be back in action next month. The 30-year-old is hoping this year brings title shots. Maxwell was last in the ring on December 22 at Manchester Arena, exclusively live on BT Sport Box Office, when he stopped Jamie Quinn inside a round, as part of the supporting cast to Josh Warrington’s IBF featherweight title defence against Carl Frampton. And the super-lightweight, who has designs on a fight with Ohara Davies among other Brits in the division, has been given his comeback date. He will fight on February 23 at the Morningside Arena in Leicester, the scene of Davies’ last defeat at the hands of WBO number one Jack Catterall back in October, on a card promoted by Frank Warren. “I am ready for a step up, definitely,” reasoned Sam, who reached 10-0 at the Manchester Arena in December. “I know they can see something in me because Frank has put me on all these amazing shows, so I know they believe in me, but I think it is about time I get pushed on so I can show them what I am really all about. I want to show my level to the public as well. “There are loads at my weight that would be brilliant fights and I would come out on top. If I was offered Ohara Davies I would take that fight and I’d be confident of winning. “I am ten times a better boxer than him, so I’d just have to be switched on and watch out for his right hand – which he didn’t throw against Catterall! Jack nullified it I think and he was terrified to throw it. It was a weird one, Jack was terrified of it and he was terrified to throw it. Ohara is a big name as well and I am ready to move to his level,” added Sam who, age-wise, is the senior citizen of the Brit pack at 140lbs. The MTK Global-managed Commonwealth Games bronze medallist will feature on the bill alongside Sam Bowen’s British super-featherweight title defence against Ronnie Clark, a vacant Midlands Area super-welterweight title clash between CJ Challenger and Kyle Haywood and Jack Massey’s vacant WBO European cruiserweight title fight against an opponent to be confirmed. Anthony Yarde will be back in a defence of his WBO Inter-Continental light-heavyweight title and there is action scheduled for Ryan Garner, Ryan Hatton, former WBO European super-featherweight champion Lyon Woodstock, Willy Hutchinson and Tommy Fury.